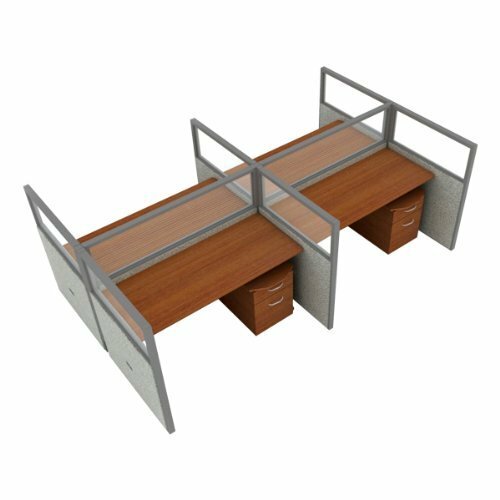 Use OFM's Rize Series Privacy Stations in Two by Two Configuration with Transparent Panel when you've got large workspaces to fill. Each easy-to-clean vinyl panel has a transparent top to encourage collaboration and community. Hang them onto frame hooks for quick installation. Steel frames are a cinch to set up; simply attach them to one another with screw-in knobs. A wire management system keeps cables organized and out of the way. Store files and supplies in the included pedestal drawers. Choose the desktop and vinyl color you prefer.